Enjoy the luminosity of this room, that together with the pure lines decoration transmits harmony and balance. The terrace offers a view over the pool and side sea view. Fully equipped bathroom with hair dryer. 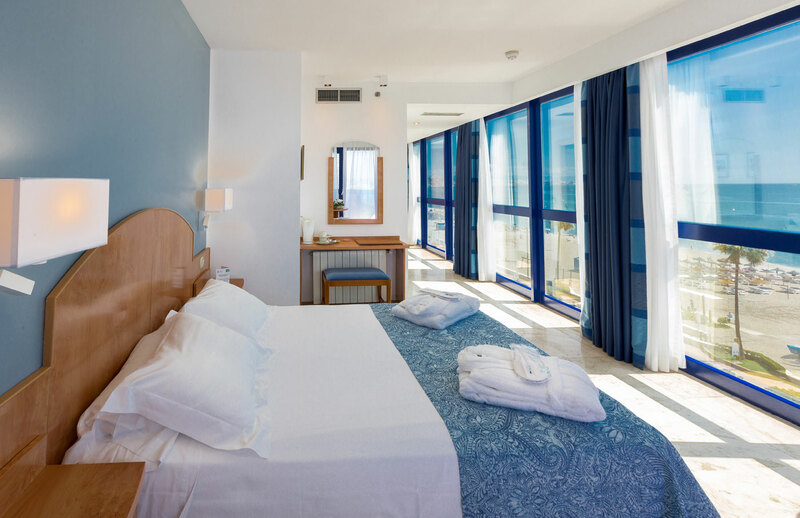 Daily cleaning service, daily change of towels and change of linen 3 times a week are included. Double room plus an extra bed.